NASHVILLE, Tenn. (Aug. 15, 2018) – Hytch, LLC, a Nashville-based social impact technology company is the first recipient of an investment from the newly established Tennessee Impact Fund. The new capital for Hytch, which brings the company's seed round to 145% of target, comes from a program managed by Launch Tennessee (LaunchTN), a public-private partnership fostering entrepreneurship.  Hytch deployed the first universal reward platform used by communities, corporations and commuters to manage incentives paid to drivers and passengers for emissions reducing behavior. Participation has exceeded projections, with over 3.7 million miles logged, shared and rewarded in Middle Tennessee alone. Since its February 2018 launch, Hytch provided an immediate, incentivized personal and public transit solution across the state of Tennessee. Users have saved the emissions equivalent of more than 65,000 trees by riding together. By rewarding participants who use the platform, Hytch reduces traffic congestion, greenhouse gasses and travel time for everyone, without increasing infrastructure costs. Tennessee Impact Fund participation follows venture capital investments from InCrowd Capital and XMI Growth, together with environmental impact investors from around the world. This transaction was structured by 2nd Generation Financial. The capital will be used to hire talent and build capacity to scale the Hytch Rewards platform. Fast adoption and measurable results in Nashville brought a lot of attention from major metro regions struggling with congestion and traffic, including Seattle, Atlanta, Denver and Detroit, among others.